On arrival at Jaipur Airport from there you will meet and assist by our representative and drive to hotel. On arrive check into hotel freshen up and than proceed to the Ranthambhore Tiger Reserve which is the best among the other Tiger Reserves of the Country. Evening came back. Dinner & Overnight stay at hotel. After breakfast at hotel proceed to visit the Ranthambhore Tiger Reserve once again to spot the tiger than drive to Jaipur and reach by afternoon. On arrive check in to hotel freshen up and than by the evening proceed to visit the modern attractions of the city which includes the Birla Auditorium, New Vidhan Sabha, Birla Mandir and Jawahar Kala Kendra. Later on you will experience the Rajasthani dinner, folk music and dance with complete rural atmosphere in an ethnic village. Evening come back to hotel. Dinner & overnight stay at hotel. After breakfast at hotel proceed to bazaars and the monuments in the Pink City and after lunch visit Amber Fort, Hawa Mahal, City Palace and Jantar Mantar observatory at the Amber Fort. We keep our evening engaged with stunning view of the Pink City from the hills of Nahargarh Fort and a breathtaking sunset. Dinner & Overnight stay at Jaipur hotel. After breakfast check out from hotel and leave Jaipur for Ajmer & Pushkar, both the places are major religious center for Muslim and Hindu Pilgrims respectively. On the way to Pushkar you will visit famous Dargah of Khwaja Muin-ud-din Chishti at Ajmer. On arrival at Pushkar check in to hotel freshen up and than proceed to explore the spiritual facets of this relaxed holy town Pushkar on foot. Dinner & Overnight at Pushkar hotel. After breakfast check out from hotel and drive Bikaner, On the way you will visit Nagaur fort & Deshnok Temple. On arrival check in to hotel freshen up & take same rest and than proceed to visit Junagarh Fort, Prachina Musuem & Bhand Sagar Jain Temple. By the evening we take trip to the prestigious camel breeding farm. Dinner & Overnight at Bikaner hotel. After breakfast check out from hotel and drive to Jaisalmer. On the way to Jaisalmer you will make short halt at Kheechan to see thousand of migratory birds. Reach Jaisalmer by afternoon. 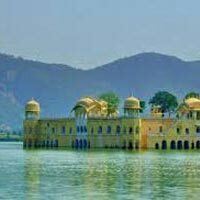 On arrival check in to hotel freshen up & take some rest and than in evening you will visit Gadisar Lake & Vyas Chhatri.Evening came back to hotel. Dinner & Overnight stay at Jaisalmer hotel. After breakfast proceed to visit Jaisalmer Fort, Jain Temple & Patwa Haveli. After than in 2nd half we go for a unique experience of the Desert alike Arabian night by making overnight stay over sand dunes with tented accommodation with cultural program and also enjoy photogenic sunset on camel back. Dinner & overnight stay. After breakfast check out from hotel/Camp/Tent and drive to Jodhpur. On arrival check in to hotel freshen up & take some rest and than you will climb up the Majestic Mehrangarh Fort and explore its every nook & corner you will also visit the Jaswant Thada, Ummaid Bhawan, Clock Tower and Markets. Dinner & Overnight stay at Jodhpur hotel. After breakfast check out from hotel and drive to Udaipur. Enroute to Udaipur, you will make short halt at Ranakpur for its astonishing Chaumukha Jain Temple which popular for magnificent carving on 1444 non replicable marble pillars, each one has been designed for to represents its own different theme. On arrival check in to hotel. By the sunset we take boat ride over Lake Pichola experience of which is beyond any comparison. Dinner & Overnight stay at Udaipur. 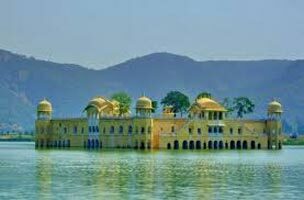 After breakfast proceed to visit the City Palace(don't miss the awesome crystal gallery), Bagore ki Haveli, Saheliyon Ki Bari, Jagdish Temple, Pratap Smarak, Fateh Sagar Lake, Bhartiya Lok Kala Mandal & Shilp Gram. Dinner & overnight stay at Udaipur. After Breakfast check out from hotel and continue to Mount Abu – one and only hill station of Rajasthan. On arrival check in to hotel freshen up and take some rest and than proceed to take tour of Mount Abu to cover Delwara Temple, Nakki Lake, Tod Rock and Sunset point. Dinner & Overnight stay at Mount Abu. After breakfast check out from hotel and drive to Nearest Airport/Railway Station to catch your train/flight & return to home with sweet memories of Royal Rajasthan.